Sky Sports News understands the two clubs have agreed a permanent transfer but agreeing terms with the centre-back remains a stumbling block, as Ranieri hinted on Friday. Chelsea are prepared to allow Cahill to leave the club this month with the England international having made only seven appearances this season. Ranieri said: "Gary is a very important player and for us it would be fantastic. I don't know if he wants to come and fight with us." Fulham spent over £100m on 12 new players in the summer but have the worst defensive record in the Premier League - a minus-29 goal difference - and sit 19th in the table. On Wednesday, they confirmed the permanent signing of former Liverpool forward Ryan Babel from Besiktas. The 32-year-old played at Anfield for three-and-a-half years and Ranieri hopes his prior knowledge of the Premier League will help them in their relegation battle. "I hope Ryan can bring his experience, his strength, he is a quality player, some goals because we need goals," Ranieri said. "Of course, I hope he can adapt to our football as soon as possible but I am happy because he played for Liverpool so he knows the Premier League very well." Babel's dyed-red hair has caused a storm on Twitter since his arrival in London but the Italian boss joked he is not taking any notice. 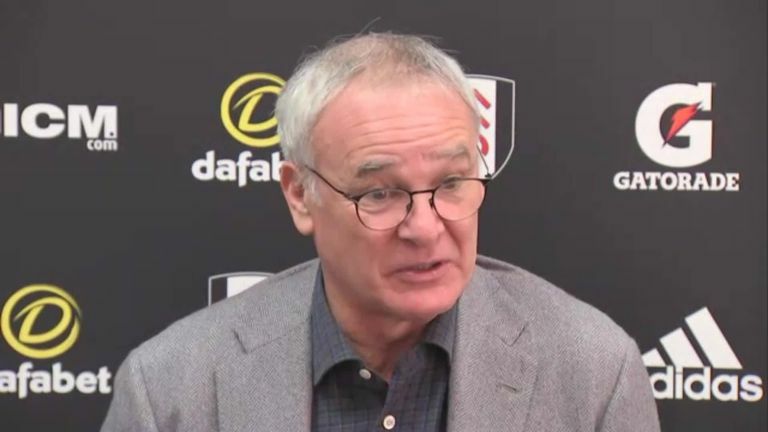 "I leave my players to be free; it's important how they play on the pitch - so the hair is not important," Ranieri said. Fulham play Tottenham on Sunday at Craven Cottage, live on Sky Sports Premier League.